Control is more about perception than reality, a fact Aerolus realises all too well about his affai, a woman crafty enough to challenge him to a game he has every intention of winning, for a prize no less than her heart. 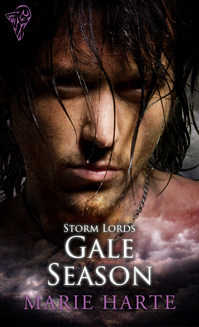 Aerolus Storm, Storm Lord and Wind Mage, has no liking for the idea of marriage, and even less enthusiasm for the troublemaking female destined to be his. The Aellei are a mischievous race steeped in deception, with a true fondness for games. They make poor allies and even worse enemies. 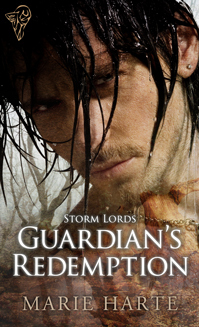 Self-appointed protector Alandra le Aelle has no intention of making things easy for him, especially since every glance at her beauty shatters his control. Wading through her illusions will take all the skill he’s built as a mage, but finding the truth of her heart will take all the skill he’s learned as a man. Checking up on her charge, a brooding prince and Storm Lord who had no idea she existed, the last thing Alandra le Aelle expected to see in the grimy little Seattle apartment was bloodshed. She stared at the ongoing fight in shock, safely concealed by the shadows of the dingy room. Several Light Bringers, Tanselm’s fierce Storm Lords, duelled with ‘Sin Garu, a malevolent Dark Lord and sorcerer who was seriously beginning to piss her off. She had missed the signs that ‘Sin Garu would attack this soon, and worse, that he’d have the audacity to steal one of the Storm Lords’ mates, the River Prince’s beloved affai. 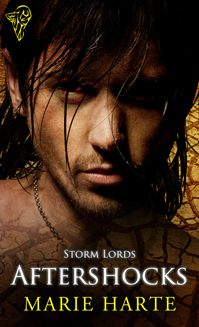 Only three of the four Storm Lords were fighting back, and Marcus’ affai lay unconscious on the ground. Prince Darius, the fourth member of the legendary Royal Four, had returned to his homeworld of Tanselm with his new bride a month ago. From what Alandra had observed, Darius’ marriage would be a strong one, one that would bode the land of Tanselm well against ‘Sin Garu and his Netharat, an evil scourge that no one, not even her family, found promising. “Tessa! No!” Marcus cried from a large pool of red contaminant that chuckled gleefully in a language only Alandra could hear. Staring at the red goo, Alandra took a deep breath, frustrated that her intention to remain invisible, and thus effective, would have to change. The red goo, an immature youngster known more commonly as a Nocumat, clung to Marcus, his brother Cadmus, and even her charge, prince and Wind Mage Aerolus Storm. She knew the youngster, Oxcen, would not relent until he had devoured them all. A Nocumat’s appetite was well-known for being one of the most voracious of the Shadren. By the Shadow’s Curse, she hadn’t wanted to meet Aerolus like this. Damn Oxcen! She glared at his spreading substance, at the many hands and mirrored form of Marcus that moulded from his red being. How one of the Shadren came to be in this place, a world with so little magic as to be nonexistent, boggled the mind. She shifted her gaze to ‘Sin Garu, who struggled against Marcus’ impressive defence. 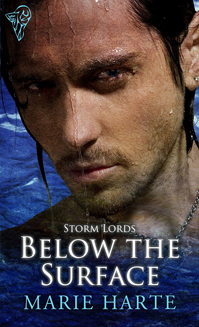 A thin sheen of water encased the sorcerer from head to toe, slowly suffocating him to death. Good. A fitting end to the Dark Lord, considering his quest to subjugate not only the Storm Lords and their people, but all who opposed his future rule over Tanselm. To that end, he employed ice wraiths, the rebellious Djinn, and a handful of ignorant Shadren willing to believe in his obscene plans. And speaking of ignorant Shadren…she glared at Oxcen as he toyed with Marcus and his brothers, and deliberately stepped closer to Aerolus. Her Wind Mage, as she’d expected, had Oxcen’s appetite in hand, but even he could not hold the Nocumat back forever. Neither, for that matter, could ‘Sin Garu. What had he been thinking to bring a Nocumat here, of all places? While ‘Sin Garu wrestled with Marcus’ magic, Alandra noted yet another complication, and her head began to throb. Cadmus, the Earth Lord, began flashing as if under a spell. She rubbed her temple, grimly wishing she had never heard of Tanselm and the Storm Lords. By all that was Shadow, the four identical princes are more trouble than they’re worth. She eyed Aerolus. Well, almost. A movement to his left caught her attention. As if Cadmus’ odd shifting weren’t enough, the white-gold fiery form of a man covered in otherworldly black flames low-crawled towards ‘Sin Garu with his dark hand outstretched, threatening under his breath. A Djinn, a stupid, haughty, trouble-making Djinn, interfered openly in the presence of the narrow-minded Light Bringers. 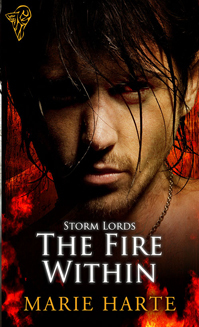 Had he no concept of what the Storm Lords would do with him once they rid their world of ‘Sin Garu? Similar to the Shadren, the Djinn were widely regarded as evil, simply because they preferred, and even lived in, the dark. But like Alandra, this Djinn appeared to believe in the Storm Lords’ dynasty, knowing that only with their powerful leadership could the possibility exist that someday, somehow, the Djinn and Alandra’s people, the Aellei, might be allowed to return to Tanselm, a land of celebrated prosperity, wealth, and magic. Tessa, Marcus’ affai, diverted her attention by rising to wield an incredible amount of elemental and psychic energy at ‘Sin Garu, draining some of Alandra’s psychic energy in the process. Extraordinary, she thought, staring at the warrior-like redhead with a hint of envy. What she wouldn’t give to be that tall. ‘Sin Garu faltered, and in that moment, the Djinn grasped his ankle, merging his Dark energy with the sorcerer’s. Moved by his efforts to free his people, even at the cost of his own life, Alandra sent him a hint of her magic, pushing him and ‘Sin Garu towards a dark welling in the floor. A moment later, a loud boom sounded, the noise made by their clumsy re-entry into the pathways between worlds. She had no idea where the Djinn would take ‘Sin Garu, or if the two would even survive the trip. But she had given the Djinn a chance, one he wouldn’t have had if he’d used his remaining energy to expel the sorcerer from this world. “Marcus,” Tessa cried before falling to the floor.